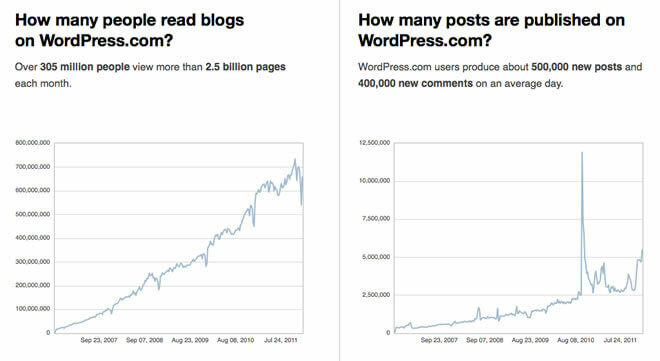 If we had known WordPress was going to be as popular as it is now, we would have made sure to buy some stock back in the day, assuming the company was public. That being said, nothing is hotter than the content management software right now, especially for bloggers and news-based websites. In-House WordPress Transfers. Often times, we see webmasters start a blog on the traditional WordPress site, only to suddenly find their content inundated with fans and adoring readers. If you’re in a similar boat, and are looking to make the swap to a truly dedicated domain and website, you’ll want to be sure of a few things. First and foremost, you’ll want to be sure your new web host can directly transfer your domain from WordPress, establishing it as a proprietary DNS. From there, you’ll also want to ensure they can port most (if not all) of your content. You worked hard to create it, so why should you have to leave it behind on that old, stuffy WordPress blog? If your new web host can’t help you with your baggage, it’s time to shop more. Speed and Performance. On a similar note, if you’re swapping your old WordPress account for a dedicated number—or even if you’re just starting from scratch—you’ll want to find a web host that offers totally comprehensive performance and top-notch hardware. WordPress is a lightweight web application, but you’re still running an additional software engine over the server’s operating system. This requires processing power, and if you go with an anemic web host, you may find your blog is no better off with a dedicated location than with your original WordPress spot. And besides, signing to a web host is like buying a new car. If you have the money, why not spring for that souped-up model that packs a real punch? Get the most bang for your dollar and look for speed in a web host. Easy Installation. Lastly, you’ll want to be sure your web host can provide an easy WordPress installation for your site. A good web host makes this a one or two click process, max. If your web host instead wants you to do a long string of complicated terminal commands that may jeopardize the entire system, it’s time to move elsewhere and cancel the contract. As an industry leading web hosting provider, InMotion Hosting provides all of the features we mentioned above and more. With the company your WordPress installation takes only a click, thanks to the brilliantly inventive, server-side gem Fantastico. Furthermore, InMotion also boasts secure suPHP, the latest versions of both MySQL 5 and PHP 5, as well as free domain transfer. If you’re looking to port over your old WordPress account, like we talked about earlier, InMotion also makes it a smooth process, bringing along your old content and name without any additional hassle on your part. All in all, InMotion is a brilliant (and cheap, clocking in at $5.95 a month) option for your WordPress-based site. Another industry veteran, HostGator offers even more features than InMotion, and at a lower price, to boot. Plans with the provider begin at only $3.96 a month, and come loaded with 100% WordPress compatibility, a one-click installation of the latest WordPress software, 99.9% up-time, and a full 45 day money back guarantee. Another feature unique to HostGator is its focus on unlimited features. With the provider, users can enjoy fully unlimited disc space and bandwidth, even at the lowest possible plan. And, of course, signing with the provider also earns you the latest versions of Apache, MySQL and PHP. Best of all, transferring your old WordPress site to the provider is easy-peasy using their ready made transfer service. Last, though certainly not least, is WebHostingHub. The provider offers unparalleled support for the modern WordPress blogger, besting both HostGator and InMotion in our user review polls. First and foremost, those who choose to sign with the provider gain the full benefits of the latest software, including Apache, MySQL 5, and PHP5. And, of course, all of this technology comes ready loaded with a one-click WordPress installation that requires no additional effort on your part. 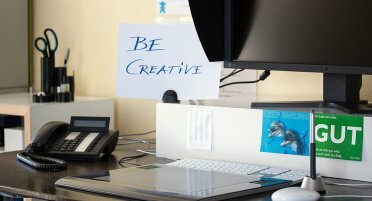 Add to this about 1,000 unique and custom-made WordPress themes to choose from, as well as simple transfer of old WordPress materials, and you’re looking at a truly impressive offering. However, WebHostingHub is also notable for its unique dedication to hardware optimization. The provider has taken great pains to fully prepare its systems for WordPress, including a full PHP caching overhaul that maximizes available RAM, a reduction in overall I/O requests, and blazing fast base connectivity. All in all, if you’re looking for an incredible, simple, and efficient way to host your new WordPress site, there’s no better option than WebHostingHub. I’m excited to find this web site. I want to to thank you for your time just for this wonderful read!! I definitely really liked every part of it and i also have you bookmarked to check out new things in your website. I’ve been with Hostgator for quite a while and I didn’t realise there were other good alternatives, especially Webhostinghub. Thanks!